Guerrilla Games showcased a prettier, more colorful version of its popular first-person shooter franchise during Sony’s massive press event. 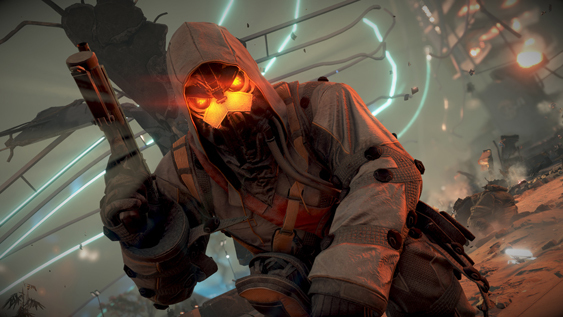 Little was said about Killzone: Shadow Fall’s setting, but new information about the time line has arrived that pegs it a few decades after the conclusion of Killzone 3. Both the developer and the official Killzone Twitter account have been getting buried beneath a sea of fan questions, and thankfully, many of them have been answered. One user asked Killzone.com about the placement of Shadow Fall in the franchise’s narrative blueprint and received a quick answer. The best part of that? No more Rico. Or, at least we all hope. What do you think about this big-budget shooter? Do you play the franchise for the story, or just the multiplayer? Let us know what you think by leaving a comment below!